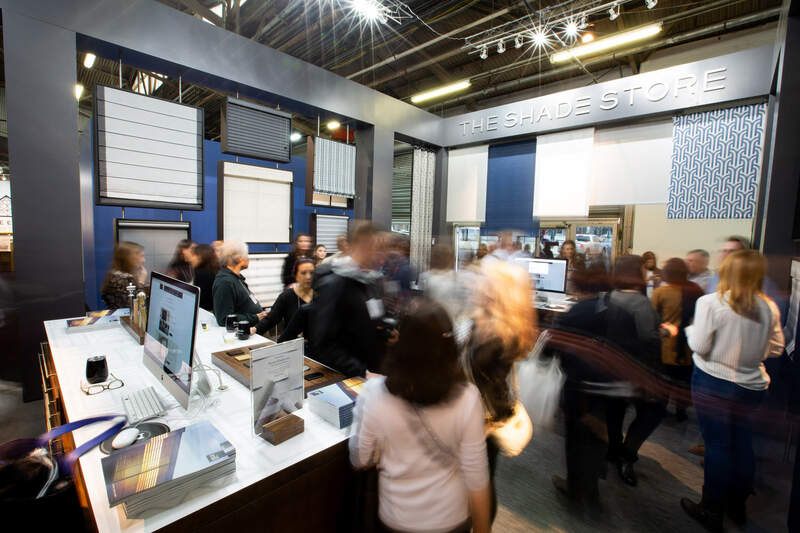 The Shade Store is thrilled to have celebrated another successful year at the Architectural Digest Design Show 2019. 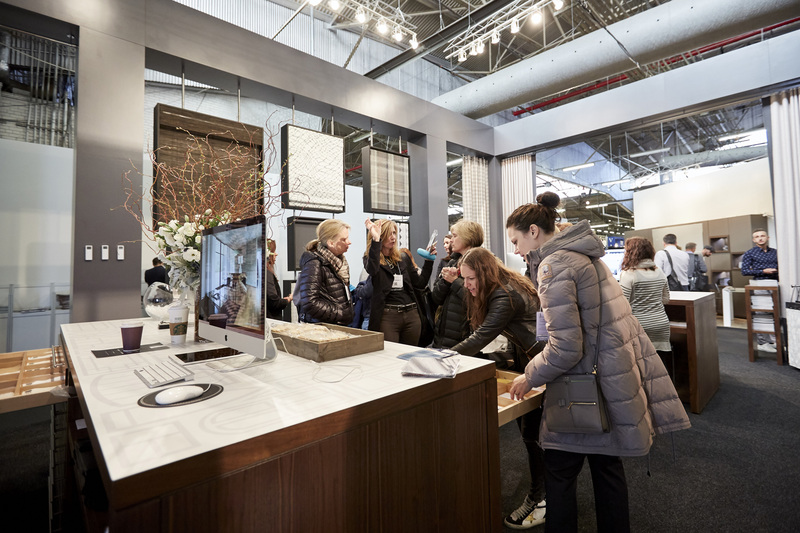 Now in its 18th year, the event took place from March 21- 24th at Pier 4 in New York City, and featured design displays from more than 400 brands. 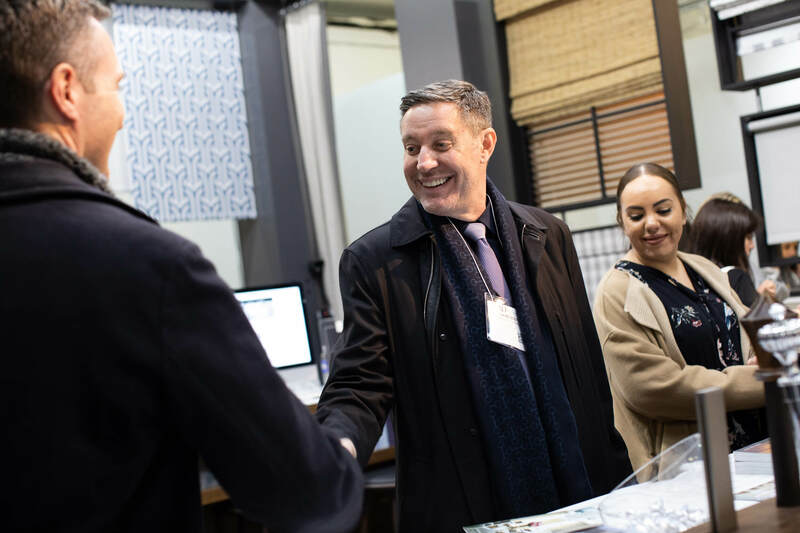 We had the pleasure of connecting with many design professionals, industry leaders, and consumers alike who stopped by our interactive booth to get up close and personal with our latest offerings. 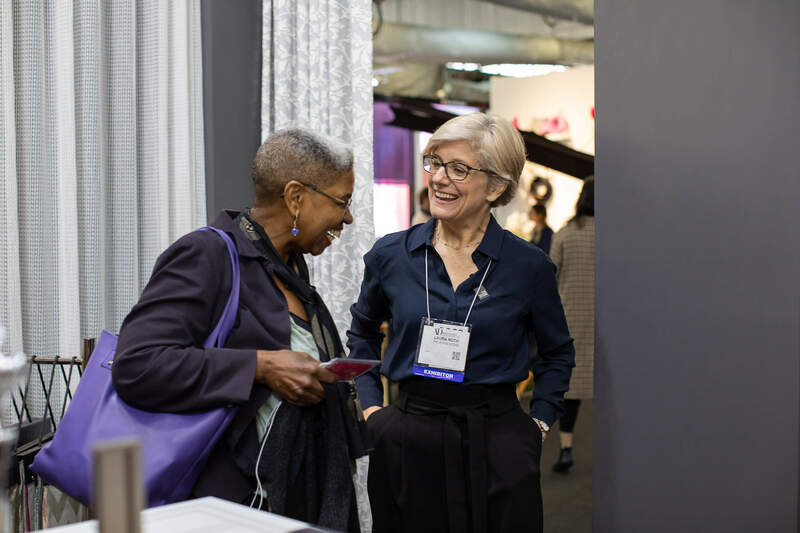 Our booth was buzzing with excitement as Alexa Hampton joined us on Thursday for a meet-and-greet to celebrate the launch of her new collection of blackout Roller Shades, Alexa Hampton for The Shade Store. 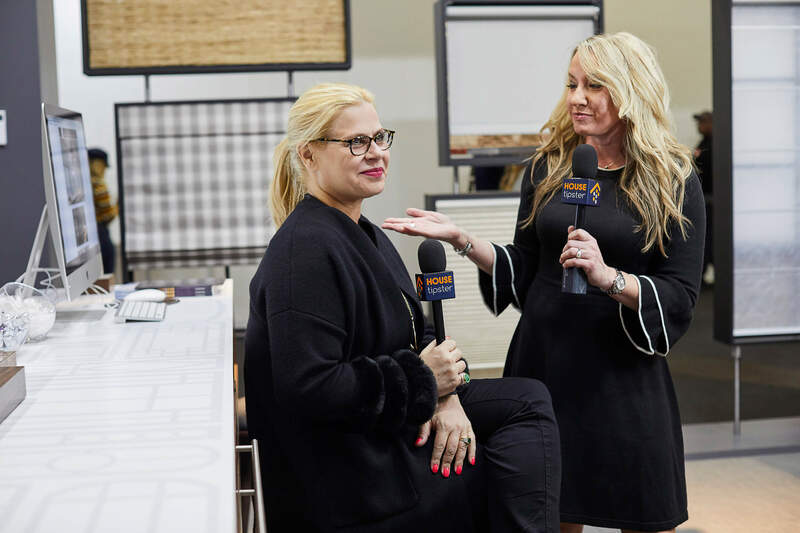 Later in the weekend, Architectural Digest Editor-in-Chief Amy Astley stopped by to get a first-hand look at the collection. 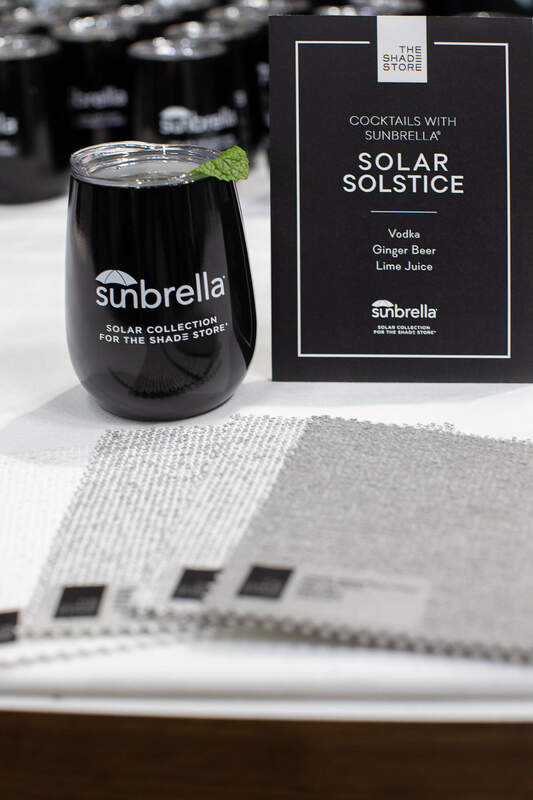 We also celebrated the recent launch of our new Sunbrella® Solar Shade collection. Thank you to everyone who made the show a success! 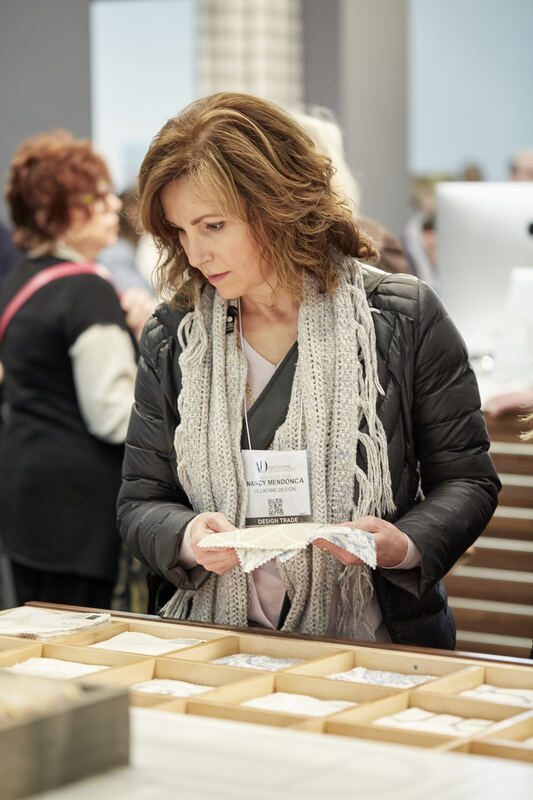 If you didn’t have a chance to visit us this weekend, browse through our gallery of highlights! 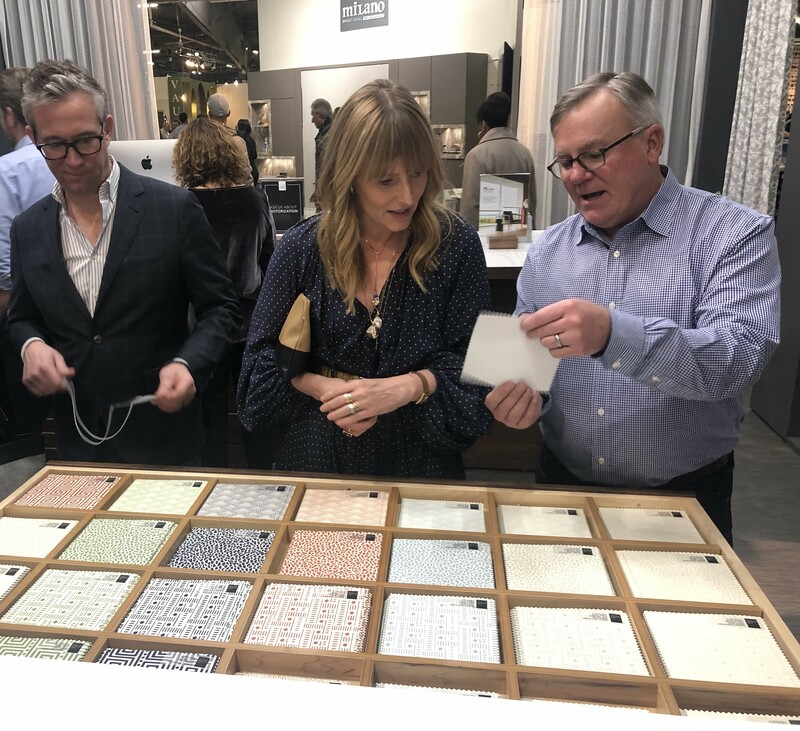 After a whirlwind weekend at the Architectural Digest Design Show 2018, we are thrilled to walk away having met a great group of new interior designers, consumers, and professionals in the field. 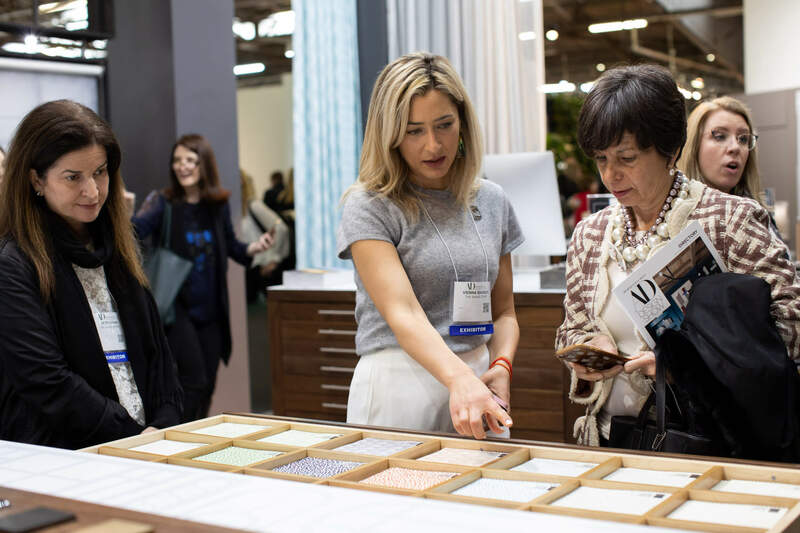 The event took place March 22 – 25 at Piers 92 & 94, featuring over 400 brands and drawing a crowd of 40,000 design enthusiasts. 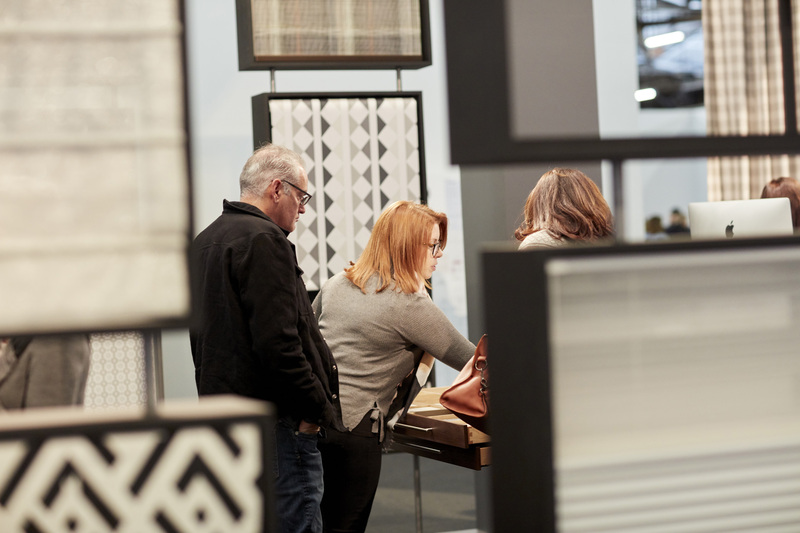 At this year’s show, we debuted our brand-new booth – highlighting our newest products and collections: Day Night Cellular Shades, Double Roller Shades, Pendleton® by Sunbrella®, and (soon to launch!) One Kings Lane for The Shade Store®. If you didn’t get a chance to stop by, here’s a peek inside the weekend highlights! All photos by Christina Riddell for Editor at Large. 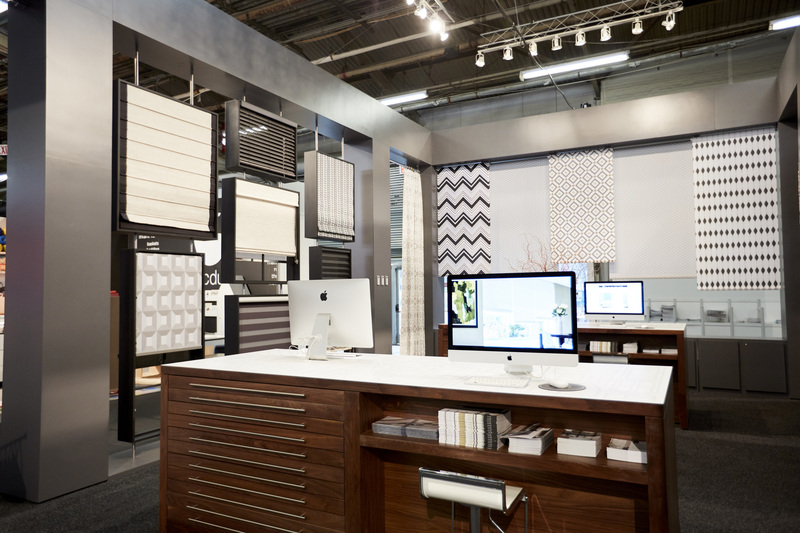 The Shade Store was happy to be a part of Dwell on Design LA once again, which took place from June 23-June 25, 2017 at the Los Angeles Convention Center. 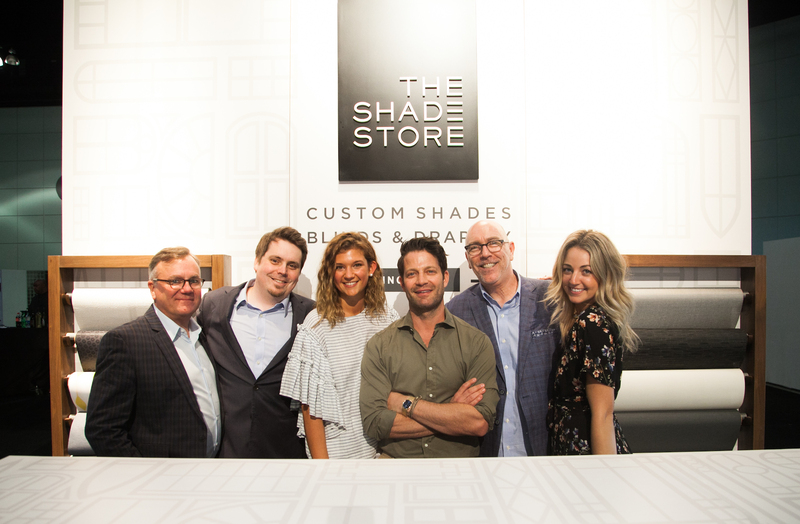 On Friday night, we hosted a cocktail and hors d’oeuvres party to launch the new Nate Berkus for The Shade Store Roller Shade Collection. The swatch cookies featuring the new Raffi print were a big hit, and everyone also enjoyed the “Nate Berkus Margarita” drink. 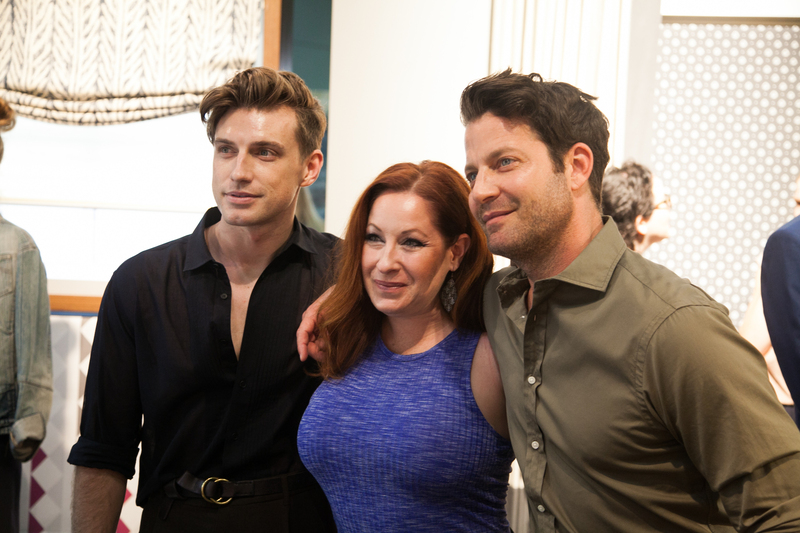 Both Nate Berkus and Jeremiah Brent attended. 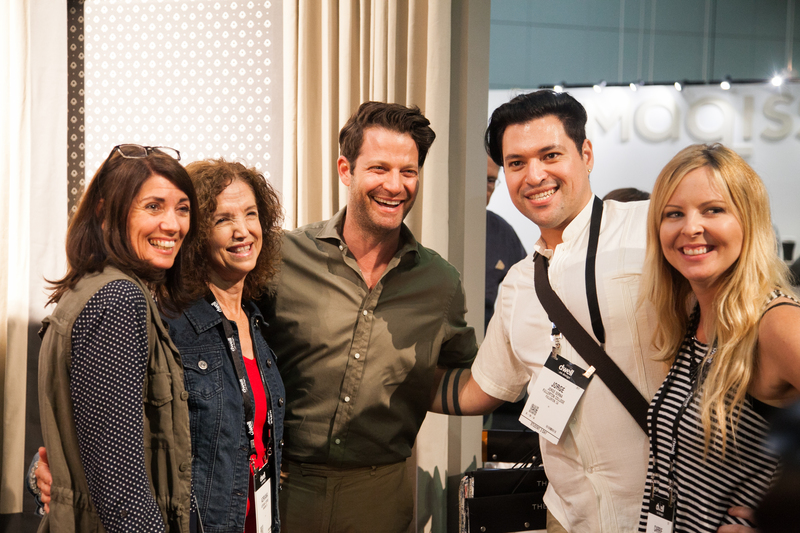 The booth was packed with press and designers who loved meeting Nate and seeing the new material collection. 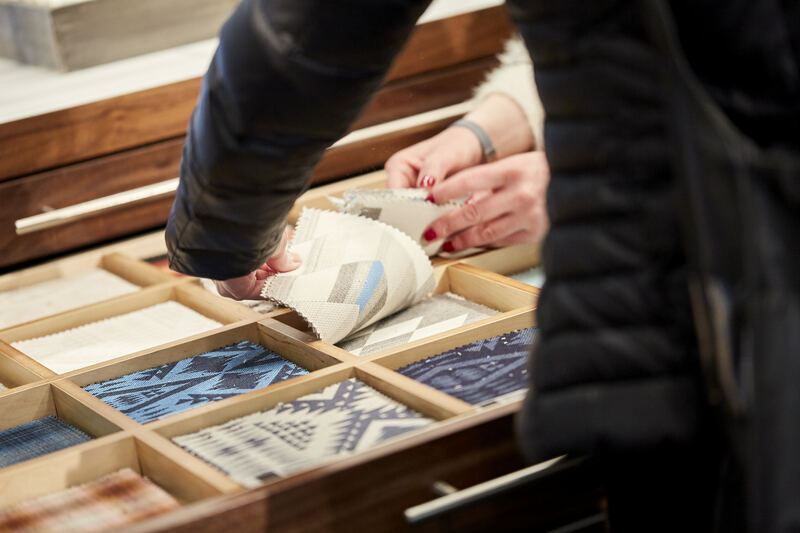 To learn more about the design inspiration for these prints, see our Q&A with with Nate here. 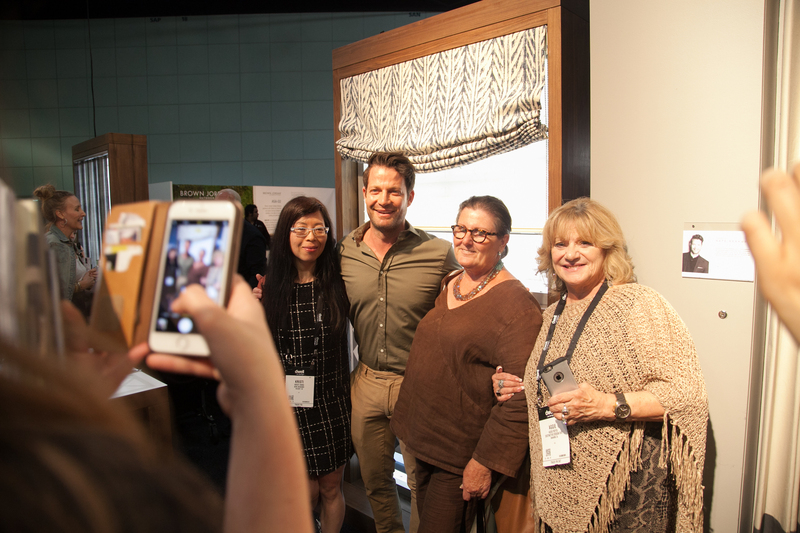 Saturday afternoon, we celebrated our partnership with Sunbrella® and the Sunbrella® Ventana Collection™ of performance fabrics for The Shade Store. 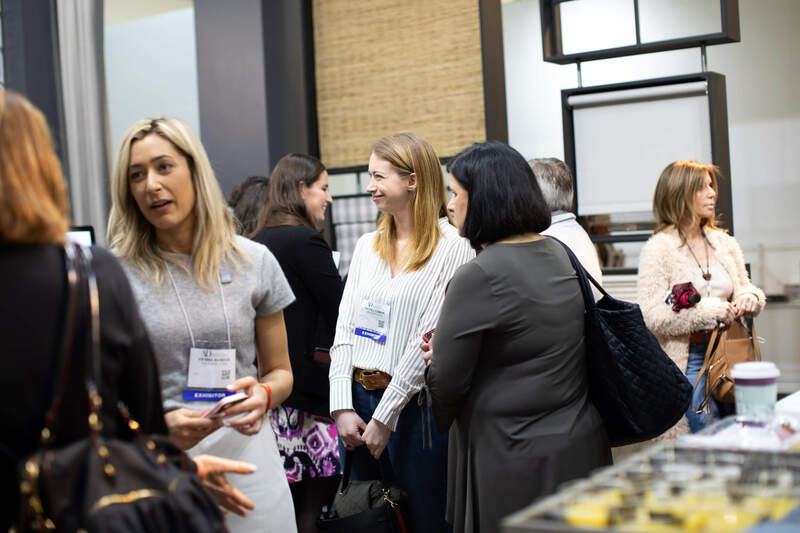 Light bites and a “Raspberry Rose” cocktail were served, and our booth was again full of wonderful conference attendees. Thank you to everyone who visited our booth! 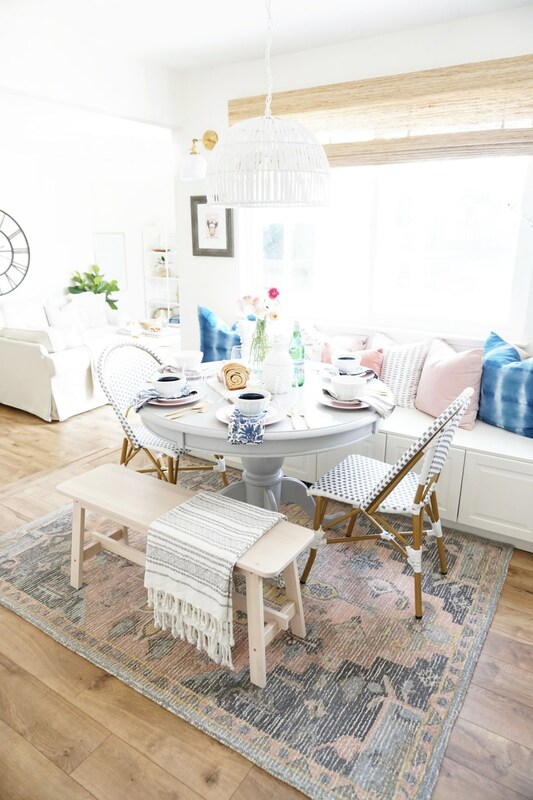 Beginning in April, a brave group of interior designers and bloggers chose one room of their homes to make over in a short 6 weeks for the biannual One Room Challenge. The challenge, organized by Calling It Home, takes place every spring and fall. Spring 2017 marks the second time The Shade Store has sponsored this inspiring design project. Keep reading to see some of the stunning makeovers completed this season using our custom shades and drapes. 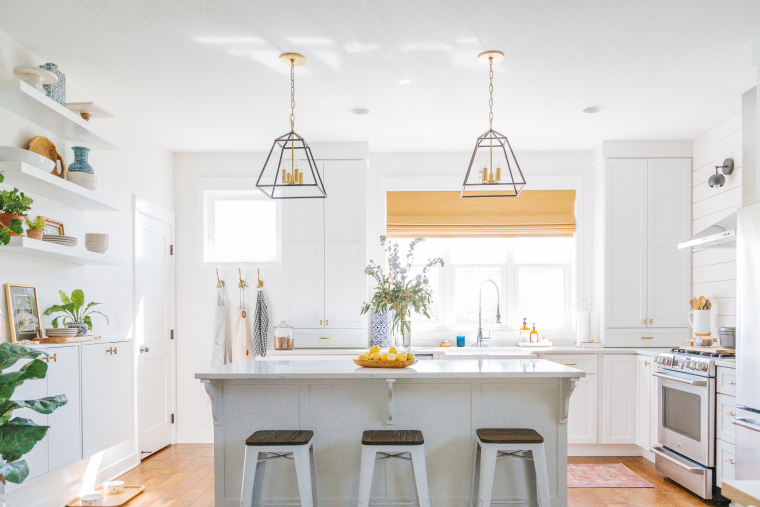 Designer and photographer Erin Williamson took on a significant renovation for her One Room Challenge: the dated kitchen in her 1970s Tudor home. This space went from “Tony the Tiger orange” cabinets and an awkward dropped ceiling to the open, airy minimalist dream you see above. Erin used Relaxed Roman Shades in Lannister Sheer above the sink in her corner window, and coordinating drapes in the same material by her banquette. Photo by Anna Reynal. Design by Caitlin Kruse of Glitter Guide. 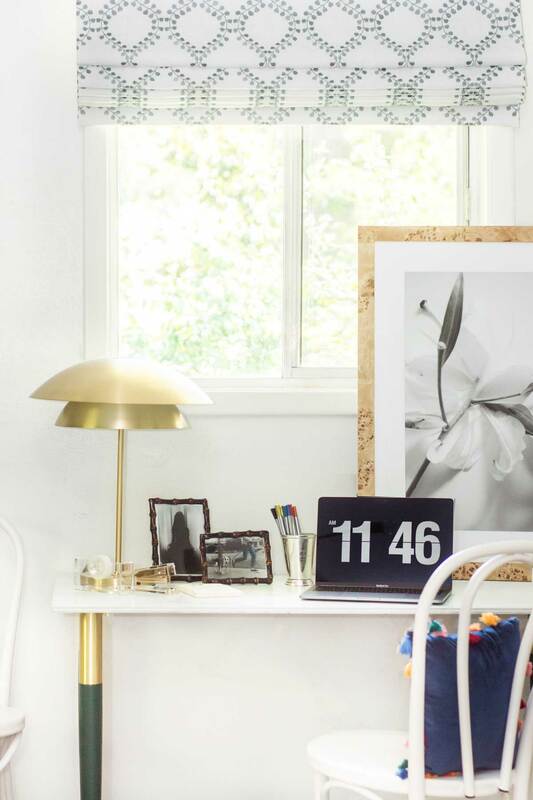 Caitlin Kruse of Glitter Guide chose her neglected master bedroom for the challenge. The transformation is dramatic, with new floors, new sliding doors, and a new closet. Floor to ceiling Tailored Pleat Drapes in Linen Blend draw the eye up and are the perfect window treatment solution for sliding glass doors. The Madison track system of drapery hardware makes them easy to close for privacy and light blockage at night. Photo by John Woodcock Photography. Design by Joanna of J & J Design Group. Joanna of J & J Design Group tackled the rounded columns, dated tile, and paper shades in her living and dining room area. Make sure you check out her before photo, because the final reveal does not look like the same space! Millwork walls, blue furniture, and colorful drapery mesh beautifully together to create a bright, inviting space. Pinch Pleat Drapes in Linen add softness to the walls and accentuate the architectural details on the newly-cased windows. Photo by ea decker photography. Design by Holly Hollingsworth Phillips of The English Room. 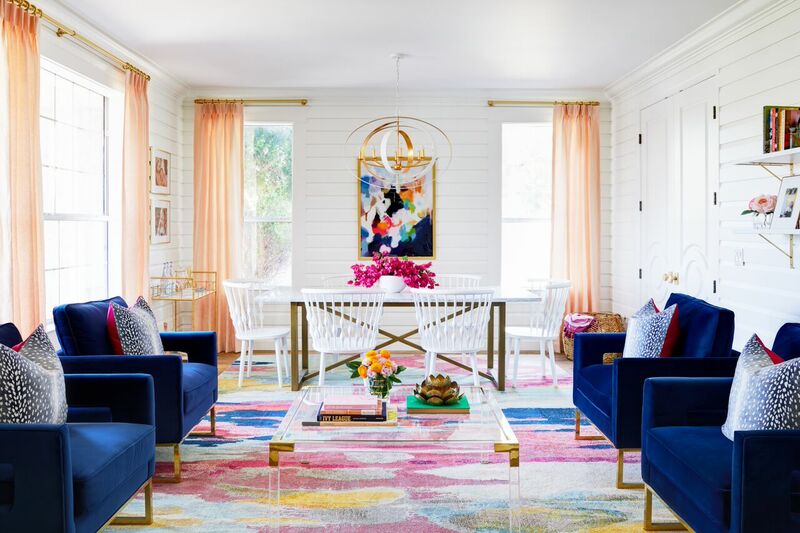 Known for her elegant, eclectic, and colorful style, Holly Hollingsworth Phillips’ home is full of interesting spaces. 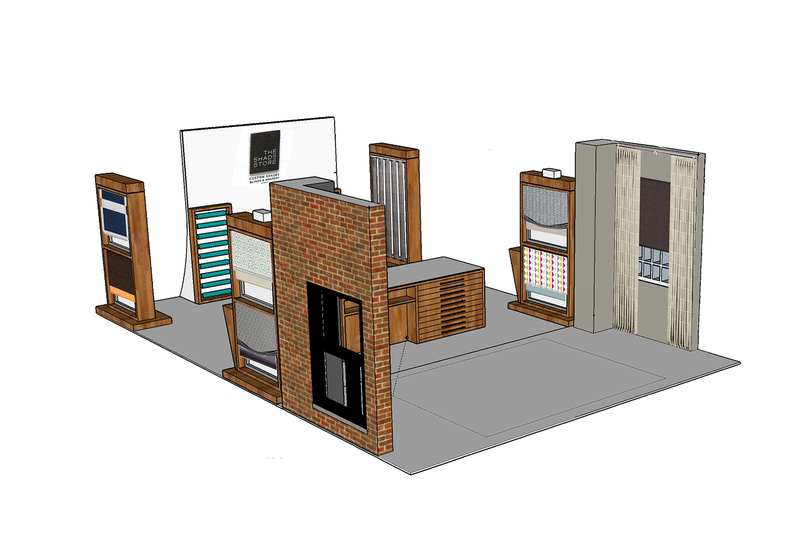 New furniture, storage solutions, wallpaper, paint, and carpet all factored into Holly’s design plan for her master bedroom makeover. Tailored Pleat Drapes in Linen are the perfect simple accent for the florals and animal print throughout the rest of the bedroom. Photo by Bethany Nauert. Design by Erica Reitman. Erica Reitman redesigned her entire guest house for the One Room Challenge. Grasscloth wallpaper, new lighting, and a luxe upholstered headboard added some instant style and drama to the bedroom. Ceiling mounted Ripple Fold Drapes helped the low ceiling appear taller, and provided more complete light blockage. Photo by Kelli Kroneberger. Design by Erin of Suburban Bees. 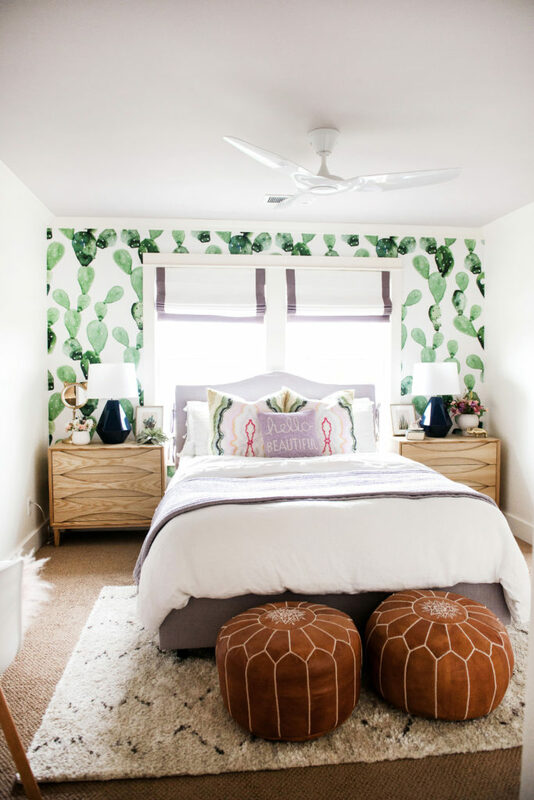 For her 9 year old who has decided she hates pink, Erin of Suburban Bees incorporated her daughter’s new favorite color (purple) into a modern boho design scheme for her bedroom and bathroom. Flat Roman Shades with a contrasting purple border bring in a subtle touch of color while complementing the watercolor cactus mural. Alma Arrieta of Almafied made over the breakfast nook in her fixer upper ranch for the One Room Challenge. The new built in bench adds perfect seating for a round table. Woven Wood Shades in the breakfast nook and kitchen add natural texture and a relaxed but polished feel to the space. 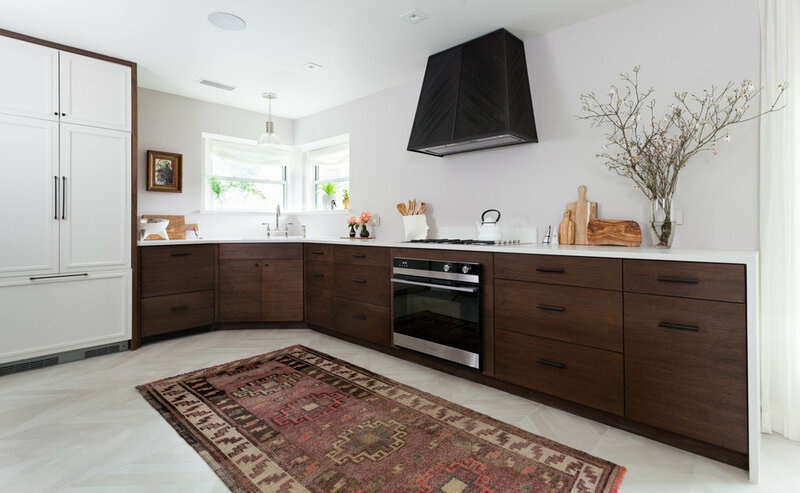 Woven Wood Shades in Tahoe added warmth and dimension to Lea of Creekwood Hill’s all white kitchen. Lined Woven Wood Shades added privacy on the large window, and also allowed for light blockage when the sun was shining directly into the space. New light fixtures, pops of greenery, and gold accents also helped bring life to this new construction kitchen. 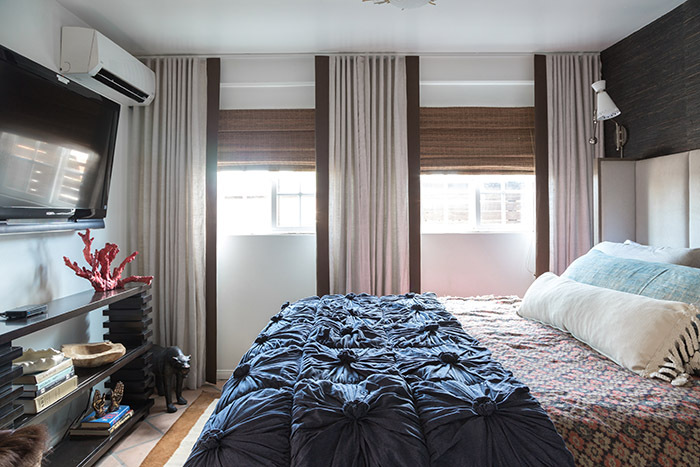 Student and designer Kevin O’Gara of the blog Thou Swell upgraded his older sister’s bedroom into a serene retreat for this One Room Challenge. The twin bed was switched out for a queen, complete with a dramatic forest green velvet headboard. A Flat Roman Shade in Winding Leaves adorns the room’s smaller window above the desk, and a Woven Wood Shade in Hampton covers the larger window. Want more transformations? See the Fall 2016 One Room Challenge Makeovers with The Shade Store here. 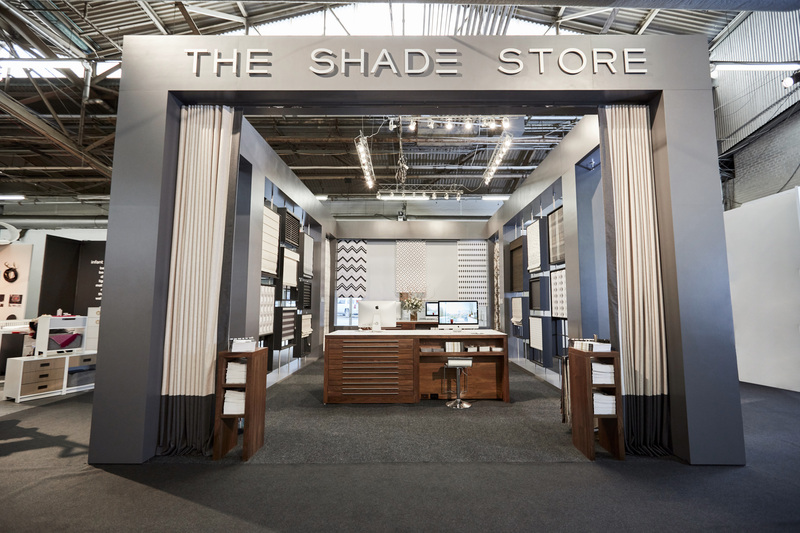 The Shade Store is excited to be exhibiting at the 2017 Architectural Digest Design Show in New York City, from March 16-19! 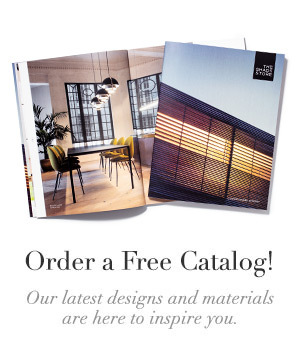 This year, we are introducing our new line with Sunbrella®, The Sunbrella® Ventana Collection™. 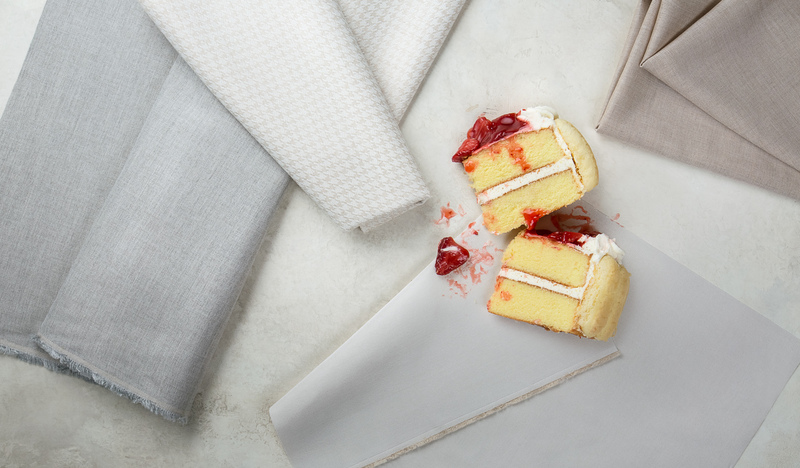 These performance fabrics, designed by Sunbrella® specifically for The Shade Store, blend stylish design with the unparalleled performance of Sunbrella® fabrics. 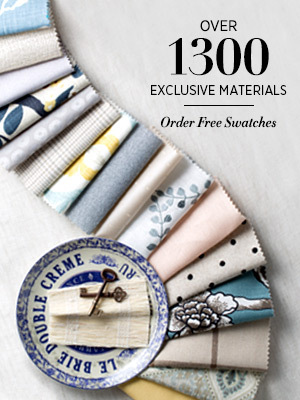 The Sunbrella® Ventana Collection™ includes both solids and patterns available in Roman Shades, Custom Drapes, and Cornices, and provides the legendary fade and stain-resistant qualities of Sunbrella® fabrics. To celebrate the launch, we will be hosting a cocktail party in our booth on Saturday, the 18th from 4-6pm. 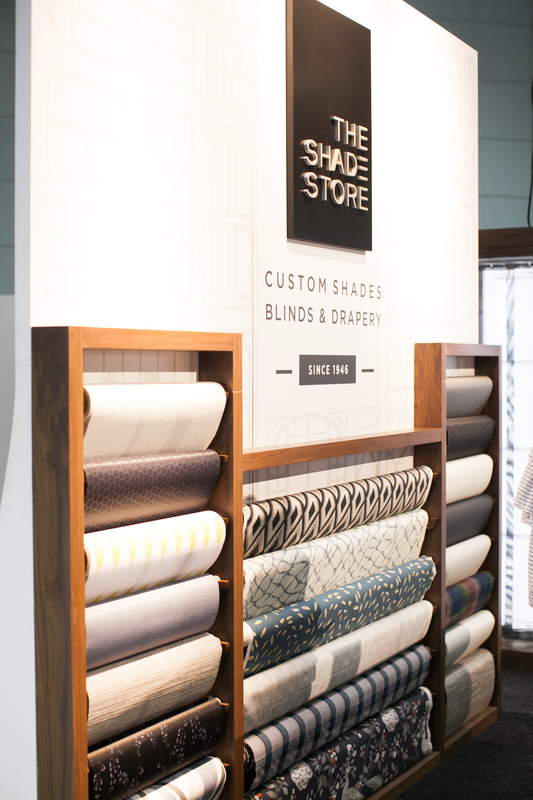 Sunbrella® is not the only new collection that The Shade Store will be exhibiting at the Show. 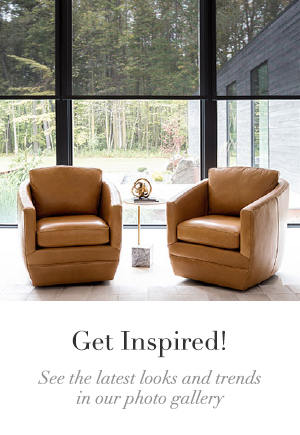 We will also be featuring new designs from Chilewich, kate spade new york, and Ralph Lauren, as well as our new motorization line, Motorization Made Simple™! 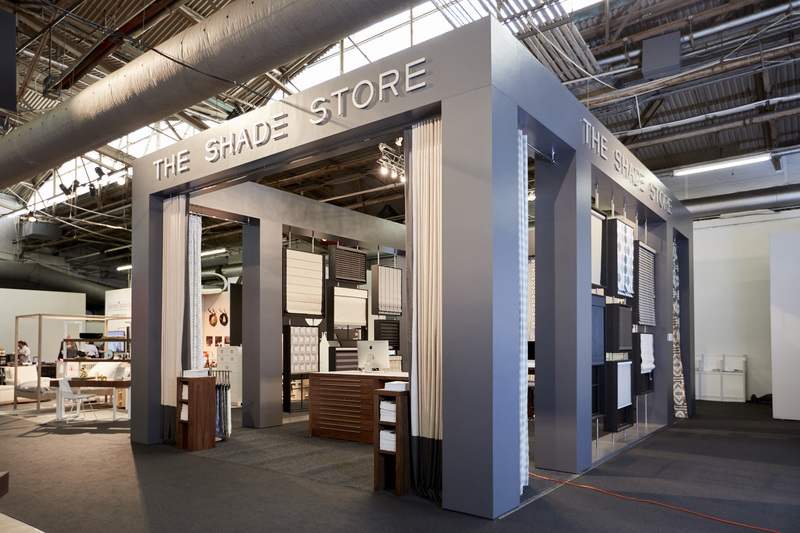 Stop by and visit us at Booth #801 and see all that The Shade Store has to offer!